It’s important to make sure that the photo you submit with your passport application meets all of the State Department’s passport photo requirements. Not having the right dimensions and quality of passport photo is a common reason that passport applications are rejected or suspended. 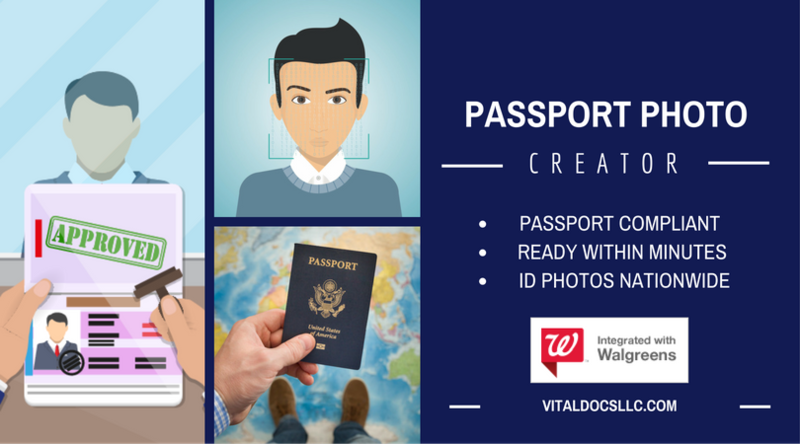 Read on for all the passport photo information you need to make sure your photo will be accepted. The photo must have a plain white background. You must face forward with eyes open and a neutral facial expression. The lighting must be even, with no obscuring shadows or glare. 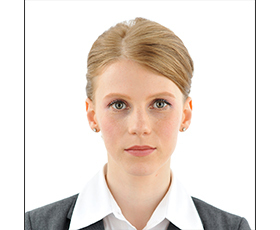 On the printed photo, your head must measure between 1 inch to 1 3/8 inches from the top of your head to your chin. What Should I Wear in My Passport Photo? *If you wear religious headgear on a daily basis, such as a yarmulke or headscarf, you may wear this in your passport photo. You will need to submit a letter explaining that you wear this headgear daily for religious reasons. Your headgear must not obscure your face in the photo. Take a look at the photo in your previous passport and make sure you wear a different outfit in your new photo. Make sure your hair does not cover your face. Bangs are OK, but make sure your eyes are both visible. A collared shirt or a top with a high neckline is recommended. Due to the cropping of the photo, if you wear a shirt with a wide or low neckline, you might wind up looking like you are not wearing clothes at all! No pacifiers, toys, furniture, or other objects are allowed in the photo. No other people may be in the photo – not even a parent’s hand! No headbands, hats or hair bows are allowed. The best way to take a passport photo of a baby is to place the baby on a white sheet or blanket and take the photo from above. Use a good quality digital camera, not a smartphone or other device. You may use the red-eye reduction feature on your camera, but you may not do any digital editing after the photo is taken. Make sure your photo is at least 300dpi, with dimensions between 600 pixels by 600 pixels and 1200 pixels by 1200 pixels. Use the State Department’s free photo sizing tool to format your photo. Print in color on quality photo paper using an inkjet or laser printer. Make sure you have enough of each color of ink. Need help with your Passport Application?